What's The World's Weirdest Taxi Service? Yes you can get a Ford Escape to take you from the UN to the Empire State Building, but that’s lacking a little imagination, isn’t it? 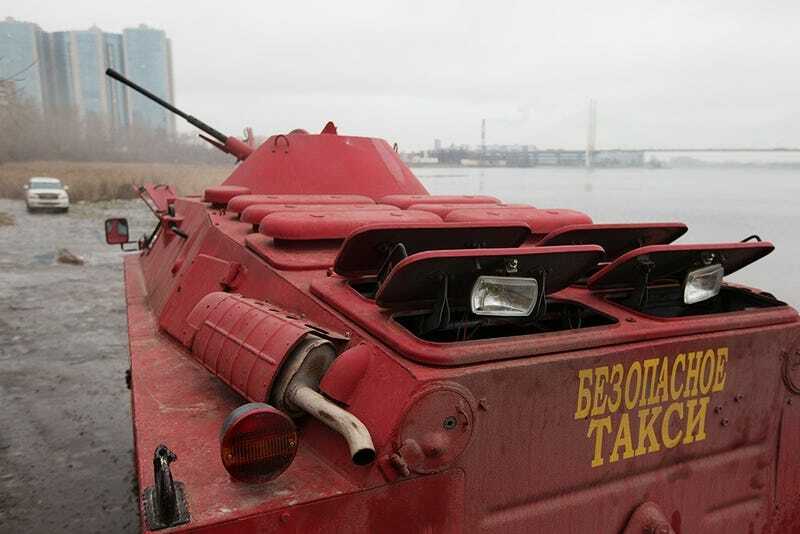 For instance, in St. Petersburg you can get an ex-military amphibious vehicle to cart you around town. Assuredly though, you know of an even more wonderfully absurd taxi service than that. What do you think is the world’s weirdest?